House Speaker Gloria Macapagal-Arroyo is supporting the proposal to lower the age of criminal liability from 15 to 9 in the Philippines, her office said Saturday. The Pampanga 2nd District Representative in Congress, who was the country’s President from 2001 to 2010, is initiating moves for the passage of a bill related to the request of President Rodrigo Duterte. 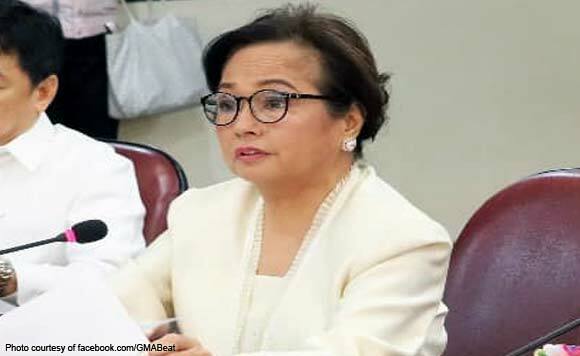 According to a statement issued by Arroyo’s office, a hearing will be conducted on Monday, Jan. 21, for the said bill, where the House leader will attend. The House Justice Committee will tackle House Bill No. 505 that Tarlac Representative Victor Yap filed in June 2016. The bill seeks to amend Sec. 3 and 6 of Republic Act No. 10630 (“An Act Establishing A Comprehensive Juvenile Justice and Welfare System, Creating the Juvenile Justice and Welfare Council under the Department of Social Welfare and Development”). “This representation believes in the restorative system of justice, thus lowering the age of criminal responsibility,” he added. The Commission on Human Rights is opposed to the move, saying that authorities must instead run after those who use minors in the commission of crimes. “Ang pagpasa ng responsibilidad at pagpataw ng kaparusahan sa mga bata para sa pagkakamali at pang-aabuso ng iilang tao at sindikato ay taliwas sa responsibilidad ng Estado na pangalagaan ang interes at kapakanan ng mga bata,” the CHR said. It also warned of the negative effects on children, particularly on their physical, mental and emotional development, as well as stigmatization, and the possibility of being repeat offenders. “Samakatuwid, sa halip na pangalagaan, ang naturang panukala ay maaaring tanggalan ng magandang kinabukasan ang mga batang binabansagang kriminal sa murang edad,” the CHR said.